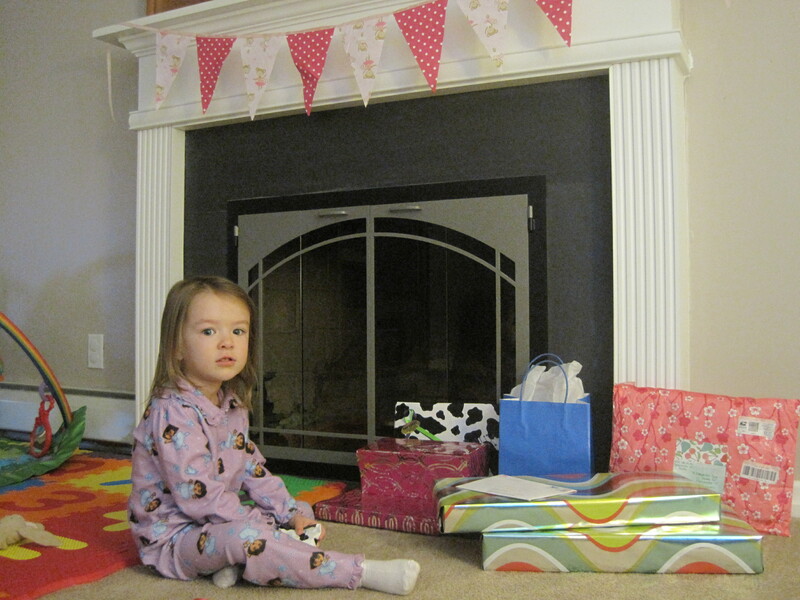 This past weekend we celebrated M’s 3rd birthday! 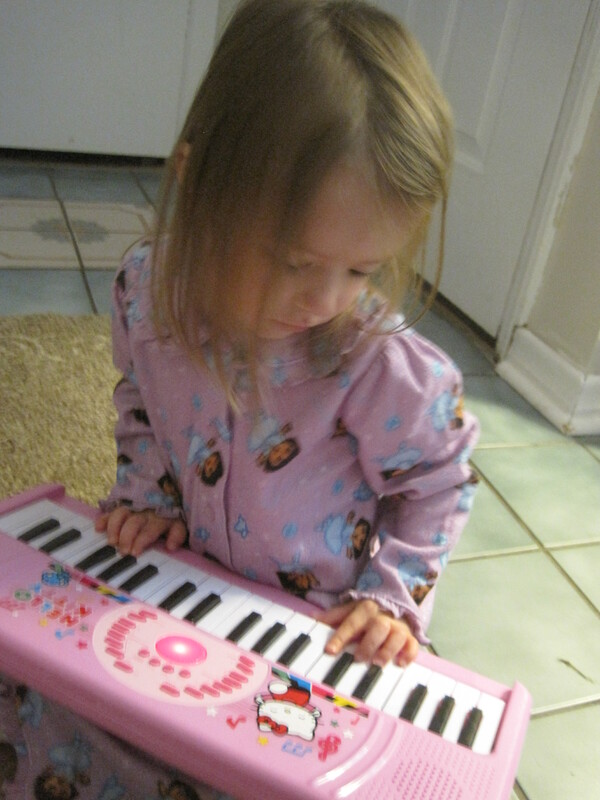 Can’t believe my first baby girl is three! 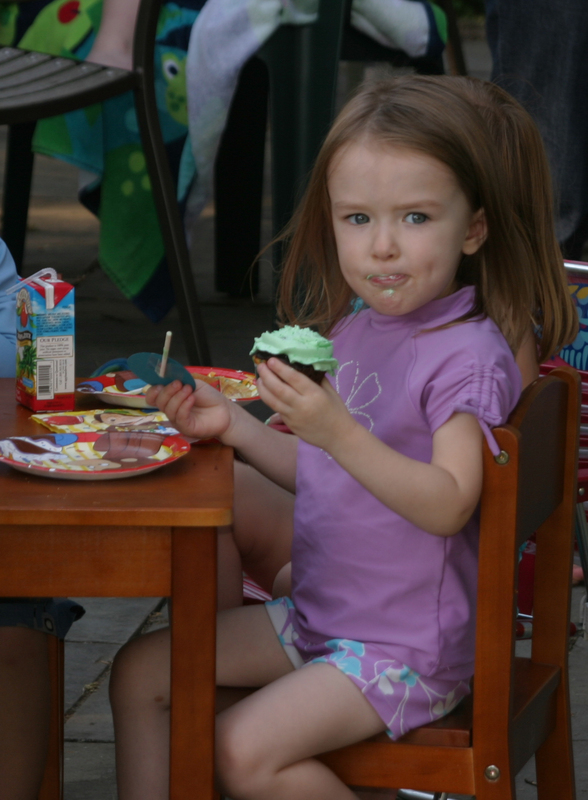 We were so bogged down with the recovery from her having her tonsils and adenoids out that we really didn’t get it together to do much preparation for her birthday! But I threw together a pretty nice last minute (for me) party in our backyard. 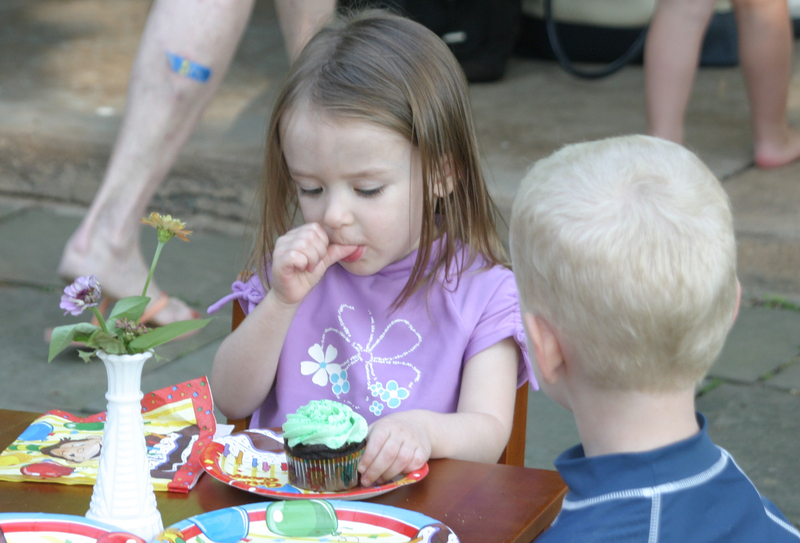 She’s really into monkeys and super into Curious George, so we had a Curious George themed party. I made a fabric banner out of monkeys dressed as ballerinas. 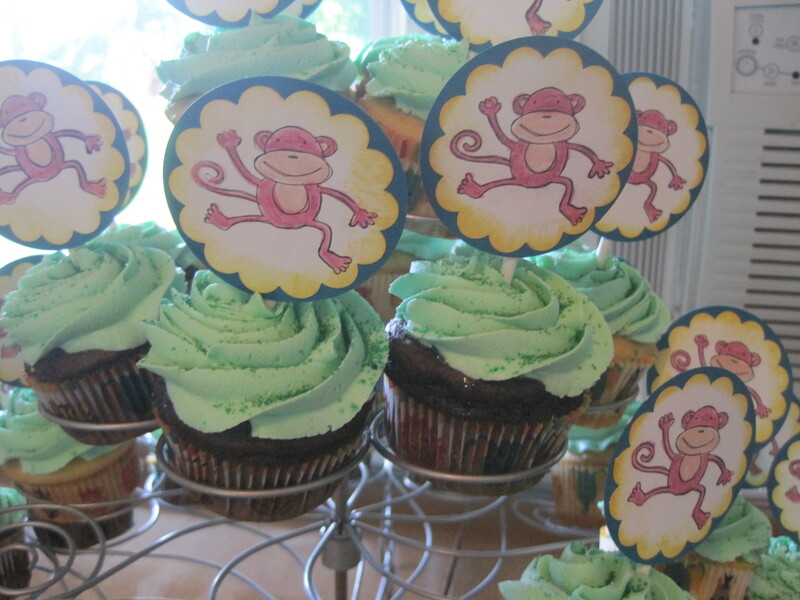 We had cupcakes decorated with monkey toppers. 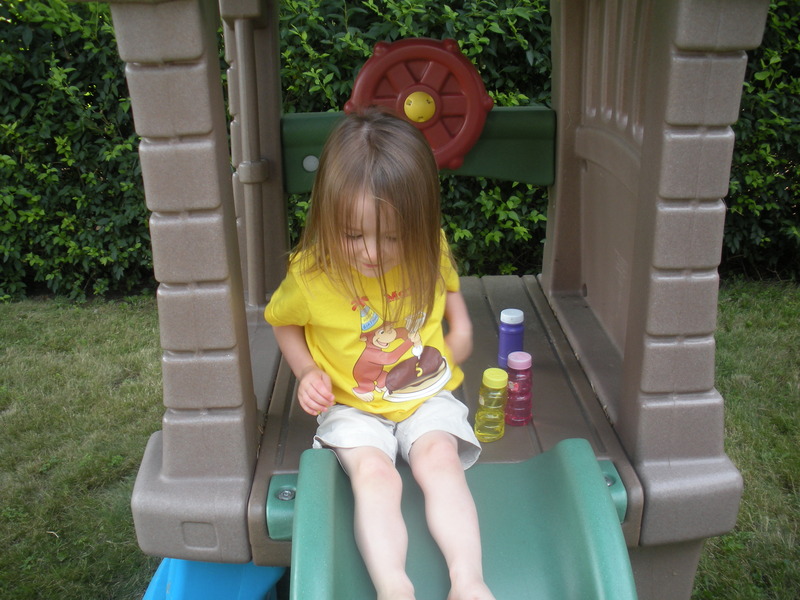 She had a Curious George birthday shirt as did S and Grandpa R. We had about 8 kids and several adults. She had four kids from her school, two kids from my bookclub and two kids from my office. 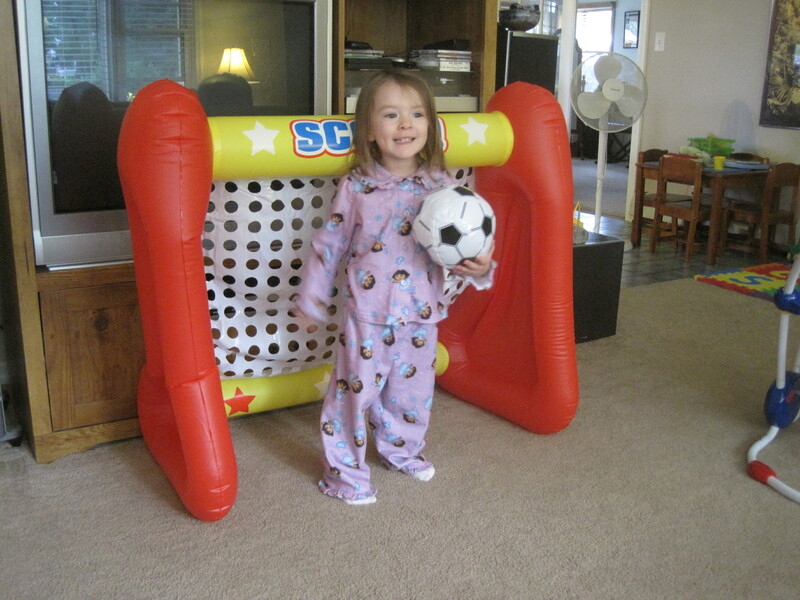 We had a sprinkler, a small inflatable pool, a sand table, bubbles, her new blow up soccer goal and balls and her play set. It was a really fun time!